We begin this week’s Viking River cruise reviews with a tour of Veranda Suite 308 on the Viking Aegir, one of the Viking Longships that made its debut in August 2012. What new things are you going to learn today? Knowledge is vital in today’s business world. If I walked up to you and asked you that question what would your answer be? Do you even have an answer? Many times that is the challenge. We want to learn, but are not sure what it is we want to learn. Now is a good time to make that list. Your list can include business, physical, economic, personal, spiritual, and many other segments of your life. I just watched the movie “The Bucket List” again, and was reminded of how people wait until time seems limited to make a list of things to do, learn,and experience. We all know entrepreneurship is a huge roller coaster, as the newbie of the group I’ve learned that in order to refine my niche, mission statement and marketing mix I have to go with the flow. The first couple of years have been all about watching and listening to prospects and the reaction they have to my business. Brian John is founder, president, CEO of Intrepid Vacations where he is responsible for executing the vision of this leisure travel corporation and overseeing the day-to-day operations of the company. A veteran of the travel industry, Mr. John brings decades of experience to Intrepid Vacations as well as management expertise gained throughout his career in virtually every aspect of the tour operation business including: Product Development, Operations, Sales & Marketing and Training & Development. His diverse background includes key management roles at such well-known travel firms as STI Travel, Central Holidays, and BJ Travel Services. 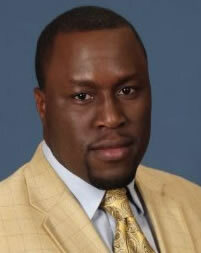 Mr. John is currently working on his MBA from City University in New York, Baruch College. His company’s headquarters is location in Marlton, New Jersey. He and his wife reside in Riverton, New Jersey. Travel Research Online: What was your first experience in travel? What is your most memorable experience in travel? Along the many roles you take on as a travel professional comes your part in a larger community of other travel planners, suppliers and service providers. Playing an active role in your professional community affords the possibility for new growth. Unfortunately, many travel planners seldom attend a trade show or travel conference. No doubt, the time and expense involved in travel and accommodations are often considerable. Yet, trade shows provide travel agents with an excellent opportunity to meet suppliers, learn about new product and to hear first-hand industry thinkers and peers. When I attend a trade show or conference I inevitably return revitalized and filled with new ideas and insights. Vicky Puig is an integral part of the Member Services team, a group of six employees that acts as first level support for the general Nexion Membership. The department’s primary function is to handle incoming phone calls from the members and provide support on Nexion products and service inquiries. They also coach agents to help them grow their home-based businesses. I joined Nexion in 2011 after our company had moved to our new offices. Though new to Nexion, I’ve been in the travel industry since 2007, working for Sabre as a trainer and customer service business analyst. It was this experience that made me the first new Montevideo employee to become part of Nexion’s six-person Member Services team. If you profits are below the break-even mark, your business may not be failing. You may be failing at doing business. You may not be giving your business a chance to fail. Business involves a number of activities that need to be implemented on a regular basis. Are you being faithful to these activities? As a nation, we are a jaded lot. From Willy Loman to the used-auto hucksters in countless movies, the public in general holds sales people rather low on the scale of esteem. Indeed, most of the people you encounter are so afraid of being “sold” something that they refuse to speak with sales people when they enter a store or walk onto a car lot. “I’m just looking” is used as the warding spell against the sales person, and woe to the one who persists beyond that point. Most travel consultants share this cultural bias against “sales.” Ironic, isn’t it? The temptation when you agree to do a column such as this, is to choose topics that place you and your agency in a good light. However, I know that over the years I have personally learned much more when people have had the courage to share their challenges. It allowed me to relate and to brainstorm ways to overcome their obstacles for myself.